Even though the guidelines on p. 44 of Action 2 specifically state that ‘action gaming’ is set in the ‘real’ world, many popular TV shows, books, etc. feature a world where such abilities are thought to be nonexistent and suddenly become real. A favorite example of mine is The 4400, Four thousand and Four hundred people who have over the years disappeared all reappear in the same place, at first all seems normal until one-by-one they start exhibiting non-human abilities such as telekinesis or the ability to read minds. It was a series that in my opinion was entirely too short-lived and not used to nearly the potential it could have been. For a campaign focusing on this sort of action I would suggest GURPS Psionic Powers, GURPS Psionic Campaigns, GURPS Psi-Tech, and GURPS Psis in addition to the Action line. I’m also going to take a moment to pimp my stuff, besides the fact that Pyramid #3/29 Psionics has an article in it written by me (Expanded Psychokinesis) there are gobs of other useful things like Antoni Ten Monros’s Random Psionic Tables (useful for quick-starting a game) and Jason “Rev. Pee Kitty” Levine’s Averting Disaster ((useful in any game with psi powers). Here are two possible ways to meld the options presented in these books with those in Action. This ‘lens’ could be added onto any Action template, it basically gives access to some psionic abilities in the form of Psionic packages as used in GURPS Psis. For those who are ‘latent’ psis simply treat the 50 points in psionic packages as a Potential Ability (Basic p. 32) specifically for psionic abilities. Secondary Characteristics: +1 Will . Advantages: Spend 50 points from the psionic packages found in GURPS Psis Chapter 3. Disadvantages: -10 points chosen from among Power-Based Disadvantages (Psis p. 13). Action-Oriented Psi (+50 points): Add Luck . • Add 15 points chosen from the template’s advantage or skill options. • Choose a 20-point lens (Action 1 pp. 4-5). • Add Computer Operation (E) IQ  and Driving (Automobile or Motorcycle) (A) DX-1  to the Background Skills list if not already listed. 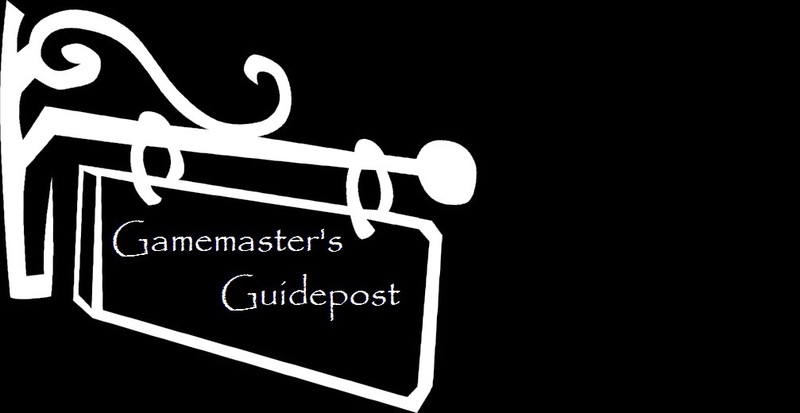 Posted in Gamemaster's Guidepost and tagged GURPS, GURPS Action, psionics, Role-Playing, templates.